Congratulations to tour winner Dorothy B. and to host winner Emily Carrington. Goddess Fish Promotions is organizing a Virtual Blurb Blitz Tour for Nothing Is Predictable by Adalina Mae, a Autobiographical Novel - Autobiographical Fiction available now. The tour will run June 4 - June 29, 2018, and this tour will not include interviews or guest blogs; however, a blurb, excerpt and author bio will be provided to every host for inclusion on their blog. A mobi or epub copy of the book is available for review in conjunction with a promo post. Adalina Mae will be awarding a $20 Amazon/BN GC to a randomly drawn winner via rafflecopter during the tour, and a $10 Amazon/BN GC to a randomly drawn host. 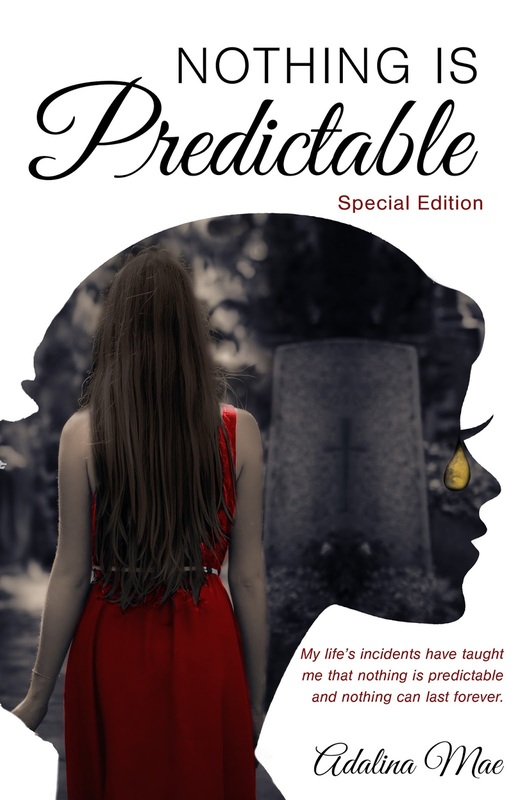 Zara is eight years old, her father, in a drunken rampage, accidentally shoots himself dead. Her childhood memories leave her struggling with romantic attachments and hinder her from developing healthy relationships. Seeking answers, She meets a monk for wisdom, and a gypsy for insight. The journeys Adalina Mae takes us on are interspersed with heartbreaking moments as well as hilarious escapades. This is life and nothing is predictable. The story keeps you on your toes and offers mysteries to solve. Why does Zara have recurrent nightmares of her last night with her father? Why does she struggle with love?